Good afternoon! Darling Girl Cosmetics does a holiday collection each year and the theme for this year's release is Edward Scissorhands. Although you wouldn't necessarily think of the film as Christmas-related, there are a lot of winter-esque qualities to it and I think it's a really unique approach for a holiday collection. There are 12 eyeshadows, 2 pucker paints (DG's version of a matte liquid lipstick), 2 creme blush/lip colors, and a lip conditioning treatment in this set. 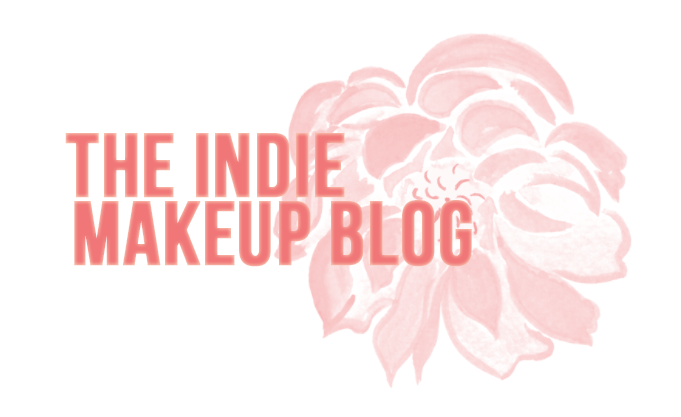 On an unrelated note, Theindiemakeupblog reached 100,000 views this week! December 13 will be the one-year anniversary of this site so it couldn't have come at a better time. I want to take a second to thank each and every one of you who have taken a moment of their day to read my posts. Blogging has been an awesome experience and I truly appreciate all of the sweet comments I've received in the last year. I ordered the ring light I've been drooling over finally and I'm excited to be bringing you better quality eye looks and hopefully more tutorials as well! 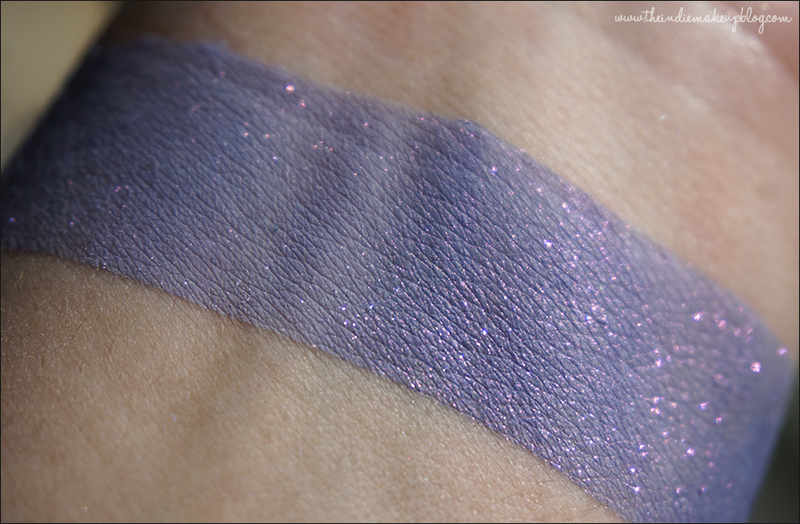 Getting back to today's post, I have swatches of 11 of the 12 shadows. Unfortunately I cannot for the life of me find the 12th shade, I'm Not Finished. I used it in one of the looks below and it's nowhere to be found now. 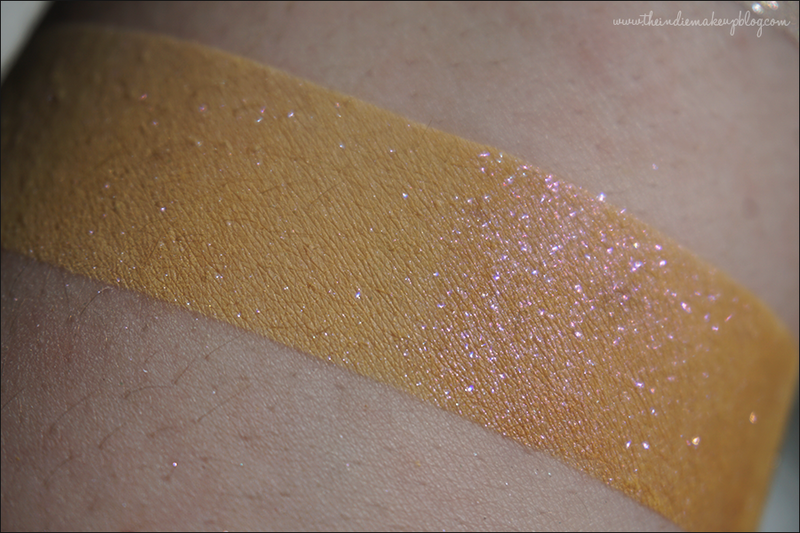 If/when it shows up, I'll edit this post to include a swatch of it as well! 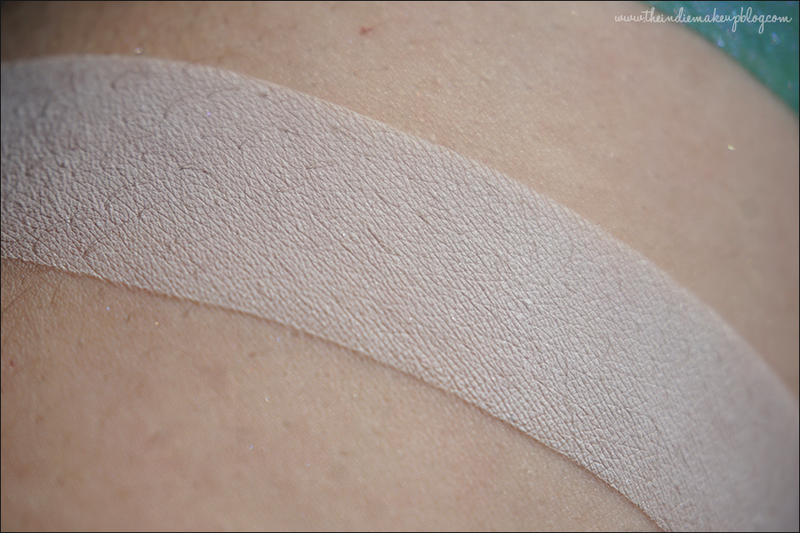 Products were provided as press samples. All thoughts and opinions are my own. For reference, my skin tone is slightly lighter than an NC15, fair with warm undertones. Please view my disclosure policy for more information. Swatches are done half on Urban Decay Primer Potion, half over Darling Girl Cosmetics Glitter Glue. 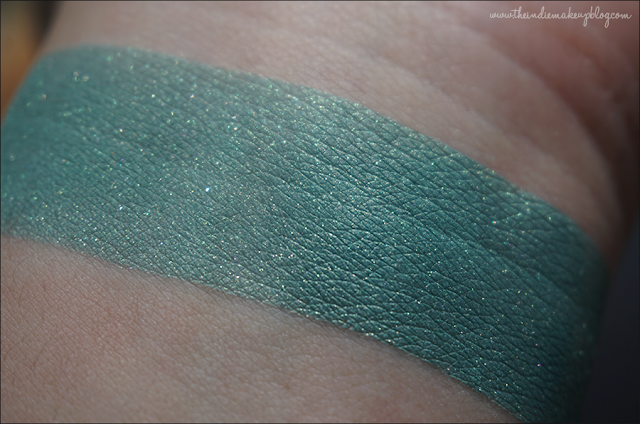 Backroom Striptease is an aqua leaning blue-green with microshimmer. If you've seen the film, you'll know exactly what scene the name refers to! 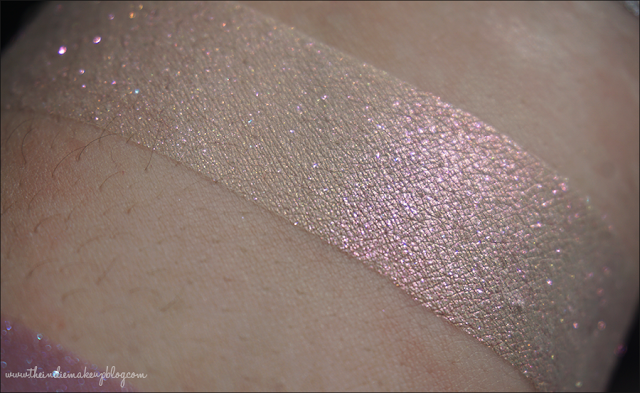 He Skewered Kim is a cool champagne with a metallic finish. 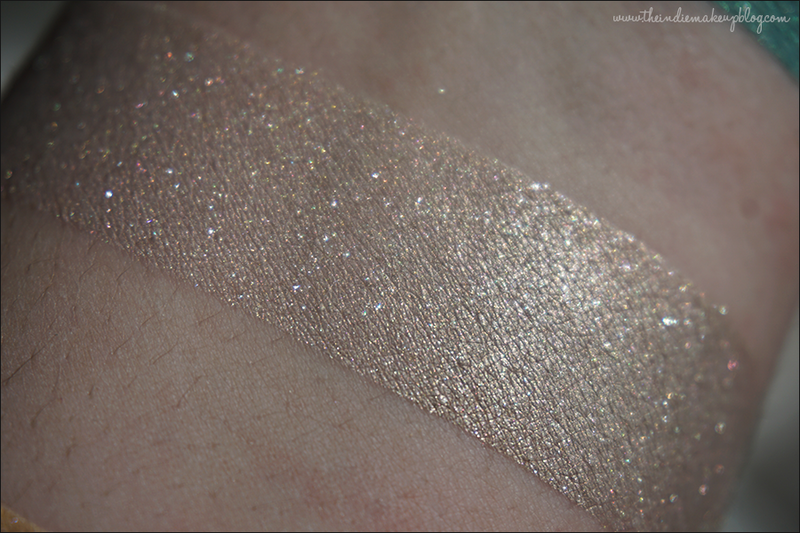 It's neutral but has such a beautiful sheen. I love this one. This is Lemonade is a mustard yellow with pink sparkles. It's a pretty unique color, I can't think of any similar colors. This one and some of the other non-metallic shades in this collection needs a sticky base to really get the shimmer to pop. 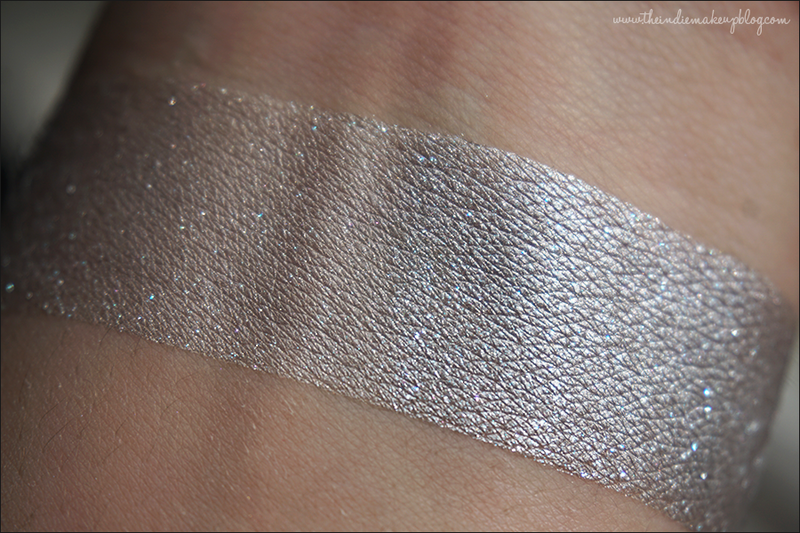 Dancing in the Snow is an icy white with iridescent shimmer. 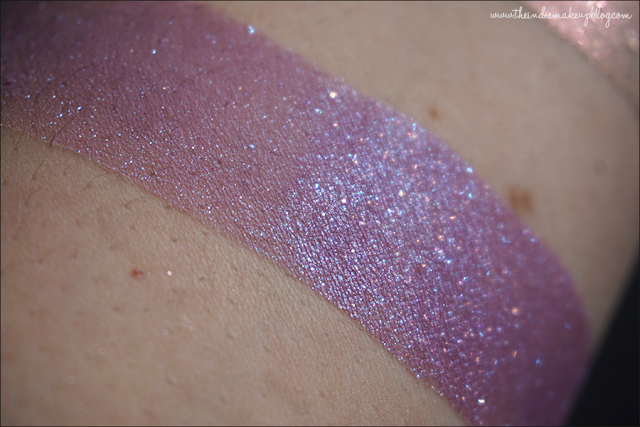 Blending is the Secret is a purple-toned periwinkle blue with pink sparkles. Haircut Anyone? is a murky green with a violet shift. Scissors, Paper, Stone is a hazy grey with pink sparkles. We're Not Sheep is a matte white. Razor Sharp Karate Chop is a bright metallic silver. Because You Asked is a sheer champagne with pink shimmer. Avon Calling is a medium orchid with tons of blue and pink sparkle. If you're only going to get one shade from this collection, this would be the one I recommend! It's stunning. 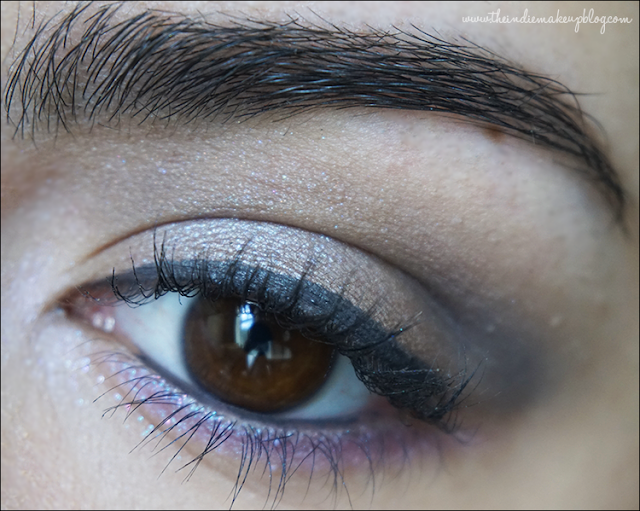 Dancing in the Snow is on my inner corner, Avon Calling on the lower lash line for a pop of color. The collection leans heavily on the cool-side, with a few neutral shades to break it up. All shadows are either shimmery or metallic finishes except for We're Not Sheep and I'm Not Finished (matte brown). I don't particularly gravitate towards cooler tones but there are some gems in here. My favorites were He Skewered Kim and Avon Calling. As a fan of the film, I think the colors and names go perfectly together and really evoke fond memories of watching it growing up. In regards to the other products in the collection, I've tried them all except I Have a Doctor Friend Pucker Paint and the Show and Tell Baby Blush. 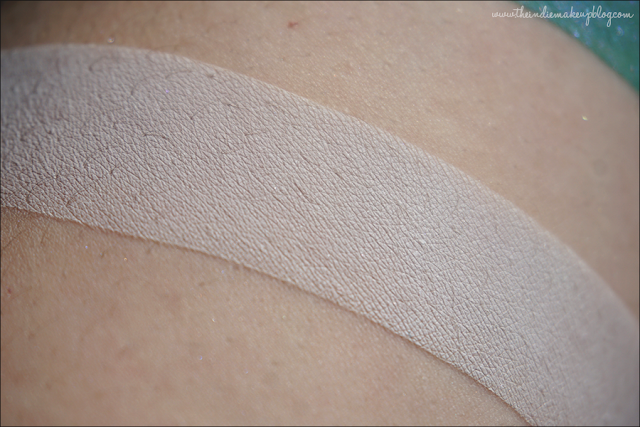 I've tried the other shades in the Baby Blush range and like them a lot. They last well on the cheeks and leave behind a pretty stain on the lips. I have a sample of the lip conditioning treatment and the maple scent is strong, VERY strong. I'm not a big fan of heavily scented lip products so it's a bit of a miss for me. I'd be interested in a non-scented version though. The other Pucker Paint in this set is Ambrosia Salad and I absolutely love it! 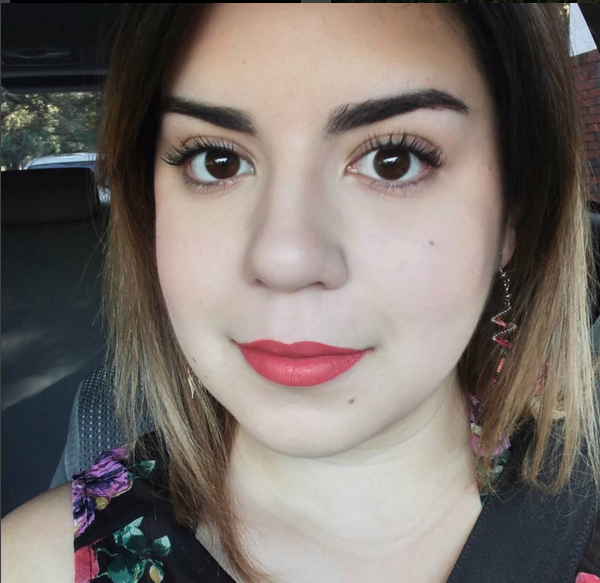 I haven't discussed the Pucker Paint line much here on my blog but they're one of my favorite matte liquid lipstick formulas. Ambrosia Salad is a beautiful deep pink with gold iridescence. 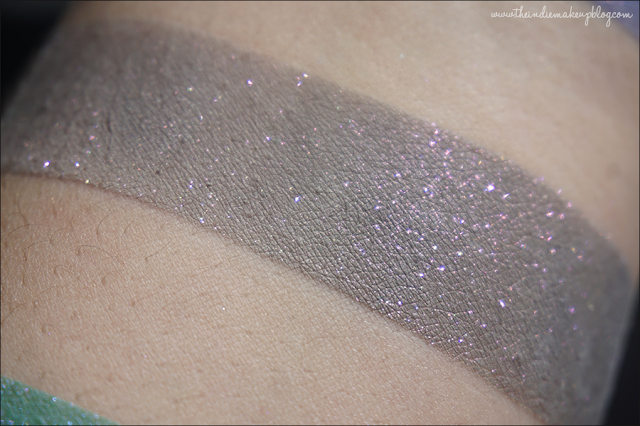 It's long-wearing and more comfortable to wear than a lot of other matte liquids I've tried. Here's a shot of me wearing it from my sister's wedding rehearsal!